So, it’s that time of year again-resolutions, reflections, trends, what’s in and out and a bunch of subject matters to get us thinking about the next 12 months. In reality, most resolutions are shot after about a month, and trends are usually made up by a bunch of marketing folks who have other motives, such as selling more of the next superfruit! I hate getting sucked into putting those personal goals down on paper. I do think about my business and tasks that need to get done to meet the needs of modern life, bills, vacations, education, retirement, taxes and anything that is going to force you to put money aside. Not very motivating. I know we like spending money in December, and then we save like hell the rest of the year. Gets tiring. Recently, I was hit with the question “2017 reflections?” My answer was “upward and onward.” The past is the past; I can’t change what happened and don’t want to dwell on it. However, you can learn from it, and thus onward and upward. Self-reflection is important, and great things come from it. So, after my initial answer, I did do a little reflection. Thanks Tim! By the way, it wasn’t the Foggy Geezers I had that made me look through the bottom of my glass and think about things in a semi-relaxed state. They did help, as well as the 100 proof bourbon, to get me in the mood. It was the desire to always get better in life. What were my thoughts? It was simple-not enough cooking! Yup, that’s it in a nutshell. 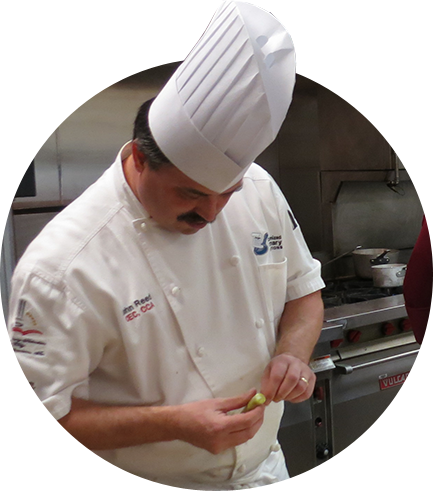 For me, cooking initiates many other great things in my life and drives me onward and upward. It’s education, self-discipline, spending more time with the family, learning another language, better eating habits and more vacation time visiting the rest of the world without having to get a tetanus and hep C booster! It’s easier on the “pepto” budget as well. Find out all I can about Filipino and the cuisines of SE Asia and cook my way through them. Khua kling anyone? There are plenty of reasons to reflect on the past, but you need to feel good about the future by not beating yourself up for all the things you didn’t do last year. My past and future have revolved around food, and it makes me happy, especially when I can share all of my adventures with you. This is my one new year’s resolution: just cook! This is a locally produced Hazy IPA collaboration with Three Floyds that has a nice fruity mango citrus nose and firm drinking with high IBUs. For you book geeks out there! 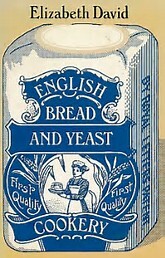 This is a quintessential collector’s book: English Bread and Yeast Cookery By Elizabeth David.